This post is now sponsored by BetterHelp. I am a firm believer in self-care and self-love. Sometimes practicing self-care means a soak in a tub, a night to yourself, or a pedicure. But that’s not all self-care and self-love are all about. I do believe that sometimes self-care is about taking time to pamper, nourish, and relax your body but I also believe that self-love is also a big part of self-care. I’m sure everyone has their own definition or idea of what these mean. My idea of self-care is taking care of yourself physically, mentally, and spiritually. My idea of self-love is that it’s a facet of care; it’s loving that body that you are caring for. No matter how you define it, they are both extremely important for our well-being and our mental health. It is something that is often forgotten and pushed aside. Other things in our life become more important and priority. We need to get better at utilizing self-care every day not just once in a blue moon when things get rough. I also wanted to mention that sometimes self-care involves getting help. If you have questions about therapy, Better Help is a great online reassures for more information. There’s never anything wrong with needing help. 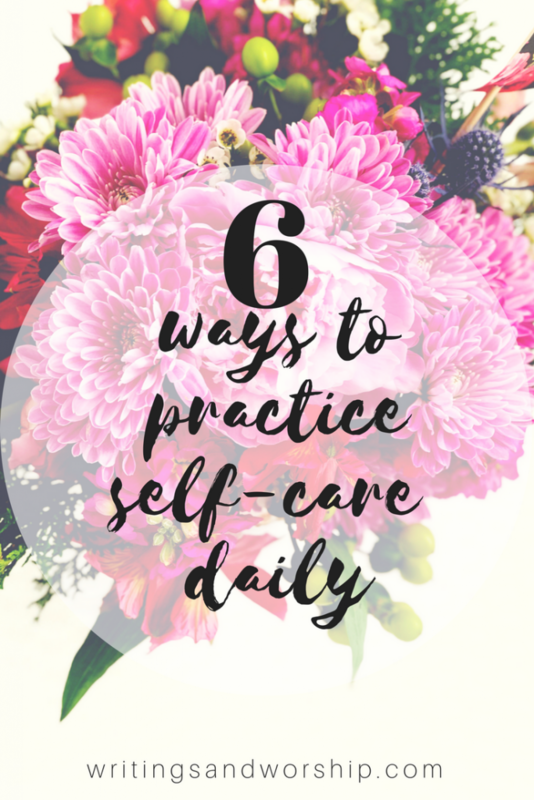 Today I want to share a few practical ways to utilize self-care daily.These are not tips that require a lot of time, money or anything. Just simple ways to get in the habit of making self-care and love a priority in your life. If you’re like me, you are notoriously hard on yourself. I am completely negative usually, which I need to work on. So of course, I am usually very harsh on myself; my looks, my abilities, etc. My #1 way to practice self-care daily is to daily speak kindly to yourself. Be positive. Be kind. Be patient with yourself. 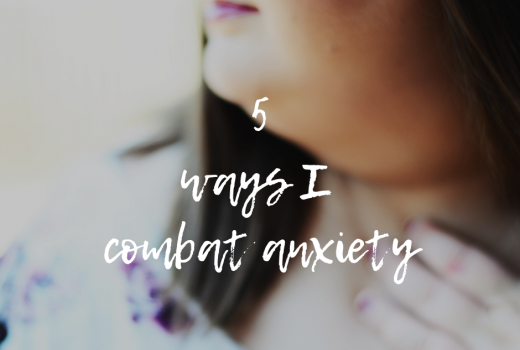 Let’s be honest, our minds are constantly rolling during the day- make sure that you’re speaking positively about yourself. Eventually, you will start to believe what you constantly say about yourself. Remind yourself that you are capable and don’t sell yourself short. Confidence is a big part of self-care in my opinion and one area I really need to work on personally. I believe this is both self-care and love. While it’s technically more of a material thing, sleep is very important for your overall mental health and well-being. Practice it daily by getting enough sleep as much as you can. I know that sometimes we can’t help the amount of sleep we get but when you can, get some rest! Good rest is beneficial for our physical bodies as well as our mental health. The more we care about taking care of ourselves the better we will be. Even when life is a stressful mess, sleep and self-care are so important. My sister is a psychologist and any time I am having a hard day or feeling anxious she makes me breath deeply; in through my nose out through my mouth. Now I personally am not a fan of meditation or yoga or anything like that, but I do believe that breathing deeply is great for our self-care. It causes us to step aside for a moment and focus on us, if only for a few seconds. This helps us slow down and take a minute to ourselves as well as usually calms our heart rate a bit as well. I am a person that does best when I see things. Even in school the best way for me to study was to write out notes and look at them. Another easy way to practice self-care daily is to scatter positive affirmation prints and notes around your home and your office. Just place a few notes where you will see them all the time (your mirror, computer screen, car radio, etc.) so that you can see them throughout the day and be reminded about your worth. Make sure you tune into my Instagram Stories because I will be sharing a few templates throughout the day for you to save and use! If you are reading this at a later date, the templates will be in my “lifestyle” story highlights! I’m not sure about you, but I feel my greatest when I am taking good care of my hair, skin, and body. A lot of time’s if you deal with anxiety or depression spending a lot of time on hygiene becomes the last thing on your priorities list. But I promise you will feel more put together when you are taking the time to really take care of yourself. I personally find I sleep better and am more positive when I am doing a full skincare and hair care routine. Not because I am full of vanity but because I am taking the time to put some effort into my well-being because I deserve it. As a Christian, while I believe self-care and love are extremely important at the end of the day, I must find my worth in Christ. No matter how many face masks I do or time alone I need my ultimate worth comes from the Lord. The best way to practice self-care is to remember that God loves you for you. I always try to see myself through His eyes because He loves me more than I could ever love myself.